The consumer giant’s razor business, which it bought for $57 bln back in 2005, has been blunted by cheaper competition. Sales, profit and market share are shrinking. 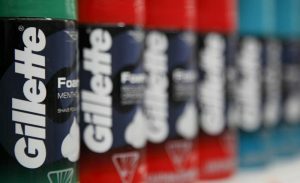 A new owner might be able to lavish more attention on Gillette, and leave P&G to focus on areas like healthcare. Activist Elliott wants $7 bln in payouts from the South Korean autos group. Though Hyundai's R&D track record is weak, it can’t afford to throttle investment in the latest technology. Better to back the conglomerate's stingier proposals and then push for another modest dividend. The private equity shop is buying back control of a Hong Kong construction company it sold to the Chinese group in 2016. The $900 mln price tag belies a slug of cash that comes with it. That makes the valuation inviting and may increase interest in HNA’s sprawling portfolio. Reliance Retail is India’s top brick-and-mortar vendor, a fast-growing conglomerate within the tycoon’s $118 bln energy-to-mobile giant. Now it is emerging as the top threat to Amazon and Walmart’s local ambitions. Its numbers, though, are a mixed bag. The Korean conglomerate's auto-parts unit has offered less than half the $2.2 bln dividend wanted by pushy Elliott. Meanwhile, Hyundai's carmaker rejected another of the activist's proposals. Stingier options may cost it investor support when it comes to a broader restructuring. A profit in Larry Culp’s first quarter as CEO can’t hide his challenge. The $80 bln conglomerate’s troubled power unit dented sales and hammered earnings in its trio of core businesses, and disposals have yet to meaningfully cut leverage. He needs to put more imagination to work. The Chinese chemicals and oil giant has paused plans to float its refining and trading unit in Hong Kong. Beijing’s behemoths once listed regardless of market conditions, thanks to government-backed peers. The $2 bln U-turn should worry hopefuls without state support. Japan’s Takeda and China’s CIC have been among the regional leaders in overseas M&A in recent years. South Korean conglomerate SK Group may be next. It is tech-hungry, hampered at home and flush with cash from chipmaking. Bankers should put boss Chey Tae-won on speed dial. South Korea's $230 bln giant is hurting with a fall in memory chip prices and uncertainty about future growth. U.S. rival Intel missed the mobile boom. To avoid a similar fate, heir Jay Y. Lee needs to spend some of its cash hoard to catch up with nimbler rivals in AI and 5G. Shares in the group’s mobile unit fell sharply on their first day of trading. It’s been a poor year for Tokyo issues, but this $24 bln float might have revived enthusiasm. Unfortunately, boss Masayoshi Son overplayed his hand. Now he’s made it harder for the rest of the queue. It’s hard to imagine a company embodying as many of the challenges and opportunities of 21st century capitalism as Siemens. The German conglomerate’s CEO swings by Times Square to discuss trade, breakups, power, automation, labor, Saudi Arabia and lots in between with Rob Cox.